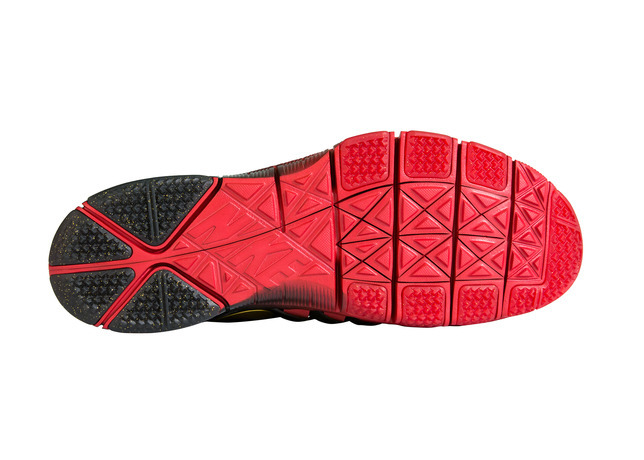 Sport-locker.net bring you a pair of trainers that come about when MMA gets involved in a collaboration! World Champion Mixed Martial Artist Jon “Bones” Jones is known for his intense training regime. Starting more than two months before each bout, Jones relentlessly trains in the gym to hone his speed, agility, stamina, balance and strength. 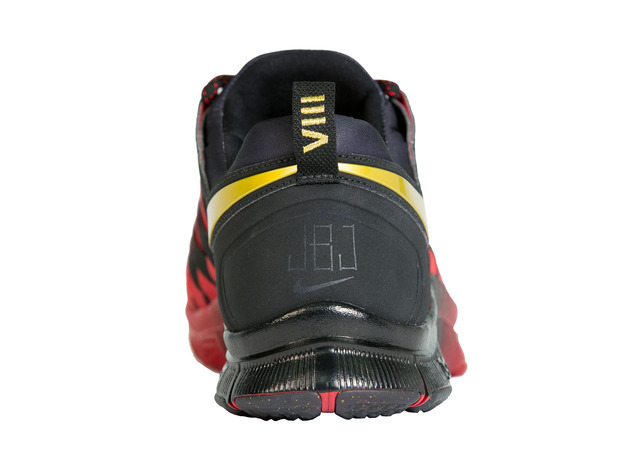 To that end, Jones needs a shoe that provides him with the perfect blend of fit and agility, enabling quick performance while staying low to the ground. 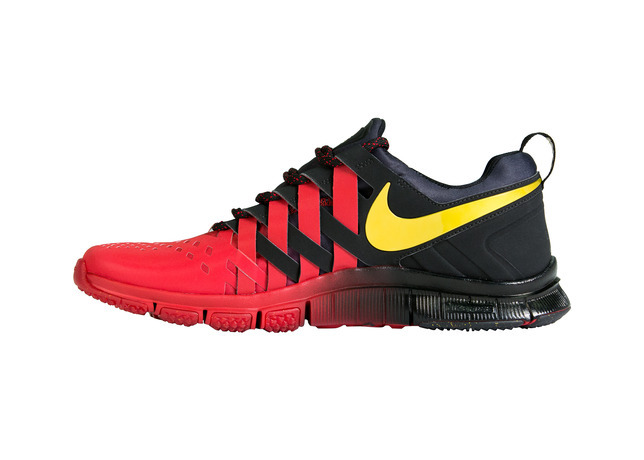 Jones trains in the Nike Free Trainer 5.0 for just that reason: it provides agile support, superior flexibility and lightweight lockdown, perfect for his training needs. 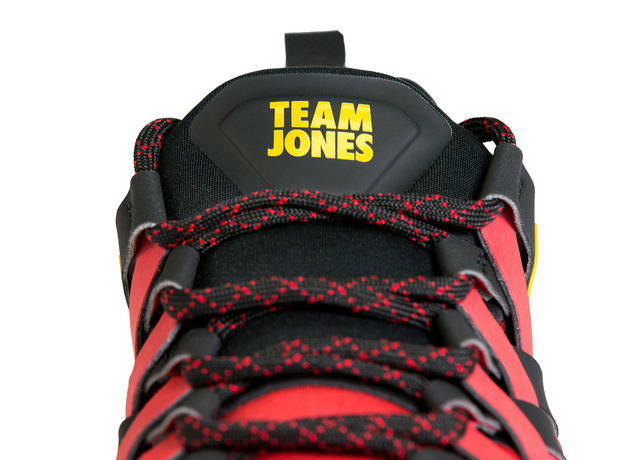 Featuring “Team Jones” on the tongue, the special edition shoe features Jones’s signature black and red colours in a fade, as well as a black reflective Swoosh Design. 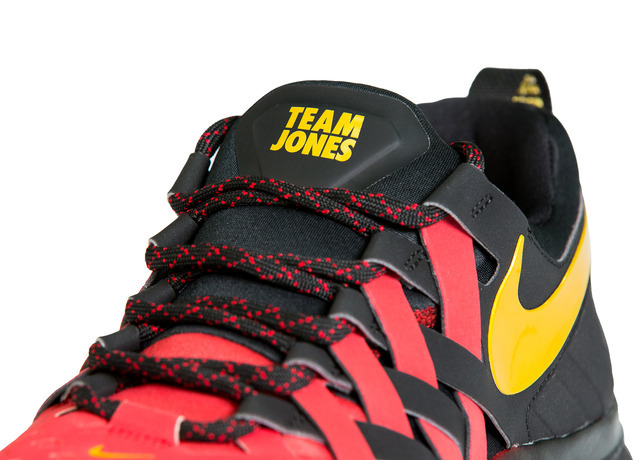 There are also two, limited edition Nike Jon Jones T-shirts available as the shoe launches. 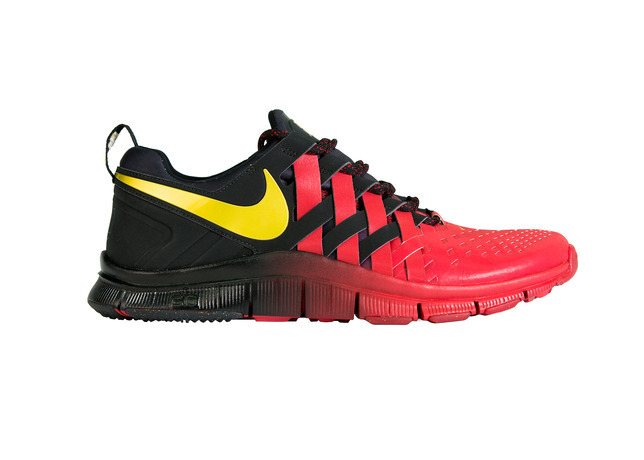 The Nike Free Trainer 5.0 Team Jones shoe and T-shirts are available March 29 at Nike.com and select retail locations. 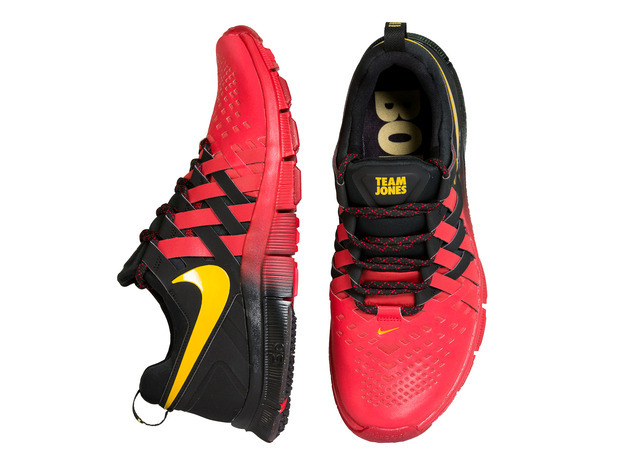 What do you think of the Nike Free 5.0 trainer for Jon “Bones” Jones? Let us know in the comments section below or on our Twitter and Facebook pages.